Hello friends, and welcome to the third trimester! Baby is now the length of a pineapple. And my apps tell me that he won’t actually get too much longer than this by delivery time, but instead will mostly be putting on fat and muscle from here on out. He probably weighs close to 3 pounds now, too. Chunky monkey! And as you can kind of tell from the photo, I’m starting to outgrow some of my maternity shirts. 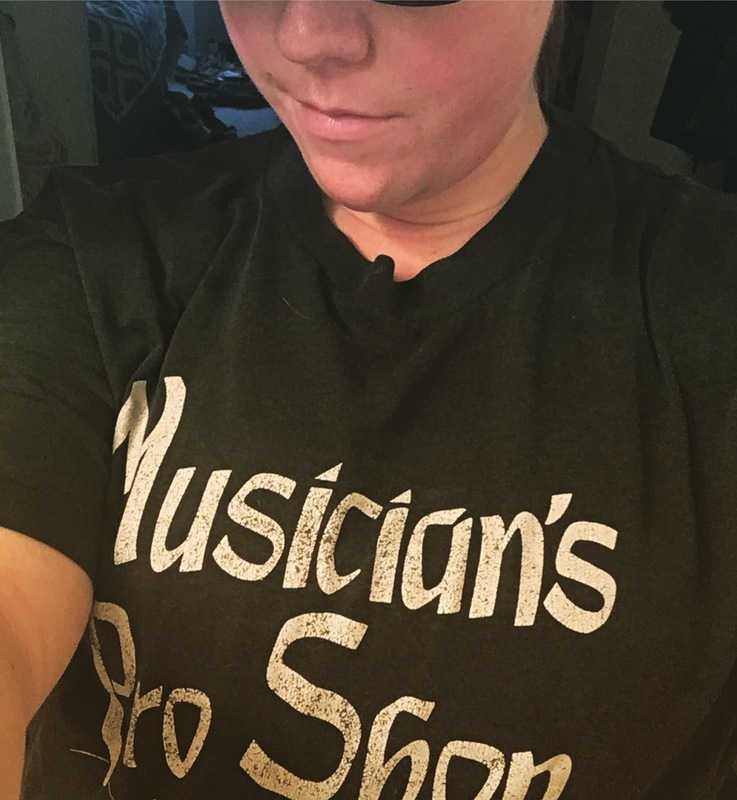 Since I’m stingy and I don’t want to spend money on tops I’m only going to wear for a couple more months, I’ve taken to wearing some of Robbie’s t-shirts when I know I’m not going anywhere. My current favorite is apparently one that Robbie’s had since he was like 14, which he finds rather amusing. I just care that it’s big and it’s super soft! Honestly, I’m mostly just exhausted these days. I had a rough week of sleeping again last week, and I just can’t seem to catch up… I’ll take all the naps I can get, please. The heartburn seems to have settled down, for now, but I’m still having a lot of numbness in my right hand, especially in the mornings. Otherwise, I actually feel pretty good most of the time! Baby has been moving like crazy for a while now, but those kicks are getting stronger and more frequent every day. His favorite time to move around seems to be bedtime, too, because as soon as I lie down it’s like a Bruce Lee movie is happening in there! His movements have also become more than just kicks and punches, and now I’m feeling more sweeping, pushing movements, too. I wonder if he feels like he’s running out of room! The sensation is honestly pretty strange, and I often giggle when it happens. Also, I’m pretty sure that I can tell he’s positioned transverse (sideways) right now. I get stronger, more kick-like sensations against my right side, and softer, more sweeping, hand-like motions against my left, sometimes at the same time. It’s all good, just as long as he turns himself head down sometime in the next 11 weeks! As expected, I was also diagnosed with gestational diabetes last week. It’s been a bit of a roller coaster, too, trying to figure out what I can and cannot eat. 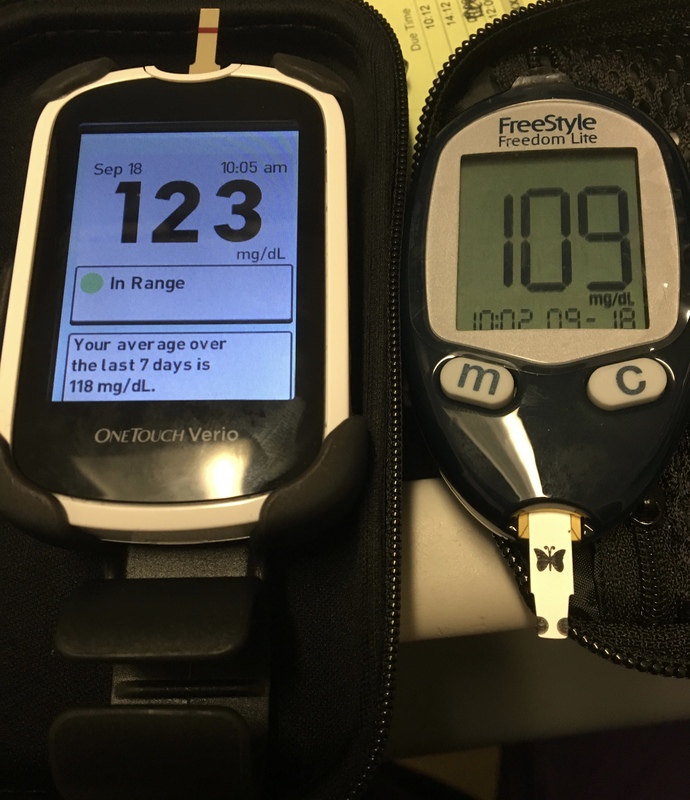 I was actually getting pretty frustrated and even wound up in tears last week, when even my best food choices were still giving me high glucose readings. I had my first appointment at the diabetes clinic last Friday, and was sharing my frustrations with the dietician when she told me that the meter I’ve been using is well-known for reading high. She gave me a different brand of meter to try, and imagine my surprise when the two meters were more than 20 points different off the same drop of blood! Since then I’ve been testing the two meters against each other, and the new meter is consistently lower every time. It’s been a major relief to have a more accurate meter. Now I know that I can actually eat some of the things that I didn’t think I could! I was also a little outraged to find this out about my old meter, though, because there was a very good chance that I would have wound up on medication with the numbers I had been getting. And considering that my fasting glucose has actually been more like 75-85 and not 105, that actually could have been dangerous, too! So, PSA, if you’re using the OneTouch Verio, I’d highly recommend talking to your doctor about trying a different brand. It might make a difference for you, too.